Auburn Hills’ FCA’s Dodge Durango today announced the launch of five 2019 models (SXT, GT, Citadel, R/T, and SRT) from the 475-horsepower DurangoSRT to the V-6 power of the Durango SXT. Providing a range of performance and powertrain options, all models have available all-wheel-drive capability. New for 2019, Durango GT Models deliver V-6 fuel economy and share the Durango SRT and R/T’s performance front fascia and LED fog lamps. 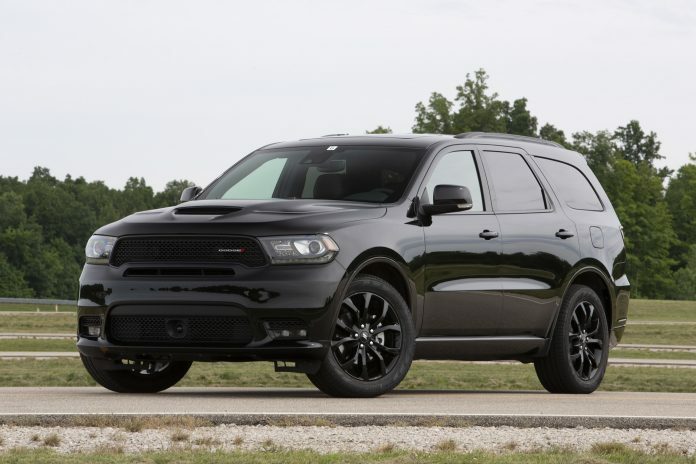 The SRT-inspired performance hood with center air inlet duct and two heat extractors is available on the Durango GT. Durango Citadel models will also get standard second-row captain’s chairs, and Durango models will also be equipped with the optional trailer tow group. The tow group will feature a new integrated trailer brake to complement the Durango’s best-in-class towing capability. Dealers can now place orders for the 2019 Dodge Durango. Vehicles are scheduled to arrive in Dodge dealerships this fall.